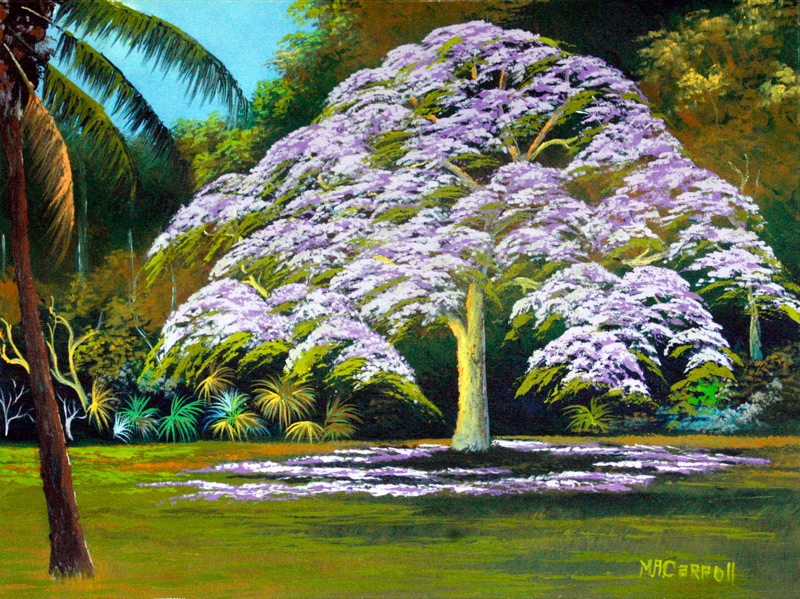 "First Lady of The Highwaymen"
Mary Ann Carroll was born in 1940 in Georgia and grew up in Ft. Pierce, Florida. 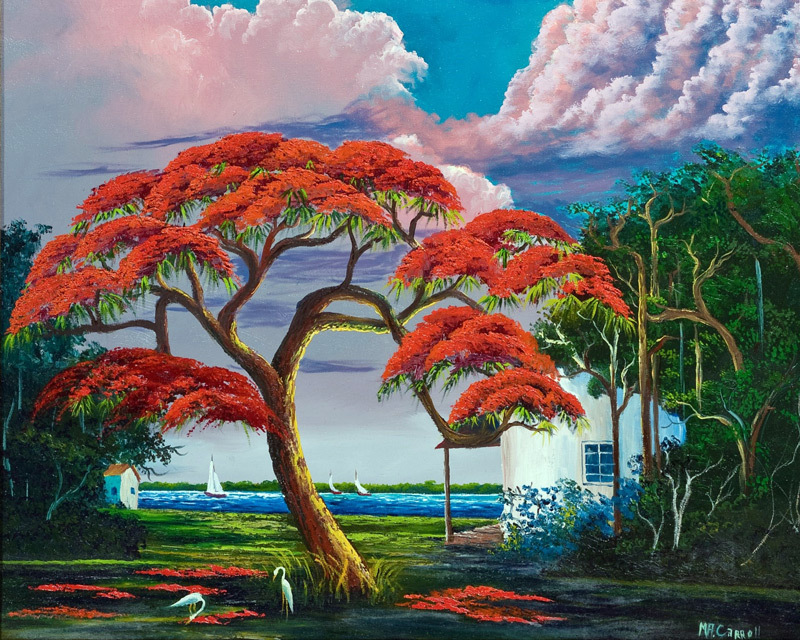 Mary Ann was inducted into the Florida Artists Hall of Fame in 2004 as the only female member of The Highwaymen, a group of self-taught artists that made a living painting colorful Florida landscapes during the Jim Crow period. 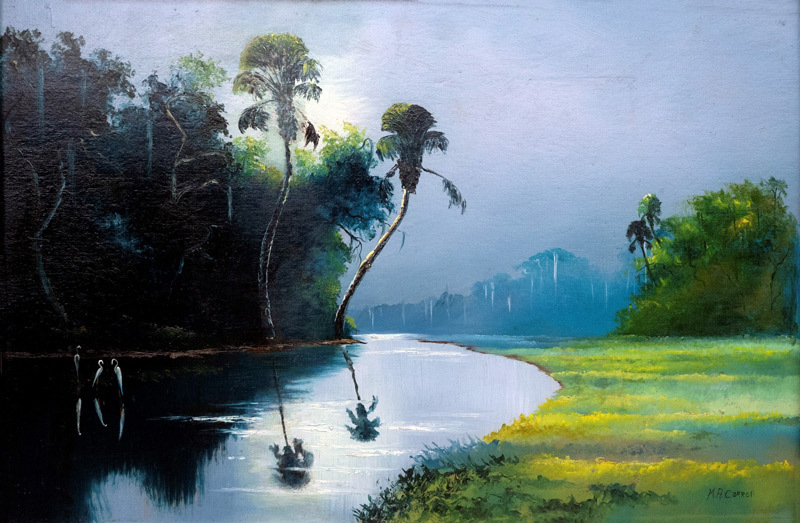 With no galleries to display the work of black artists during this time, the Highwaymen sold their paintings from the trunks of their cars or went door-to-door, selling their work to hotels, doctors’ offices and banks. Art was always Mary Ann’s main source of income, but when business was slow, she worked odd jobs to make ends meet. Life was sometimes a struggle, but she persevered and singlehandedly raised seven children. 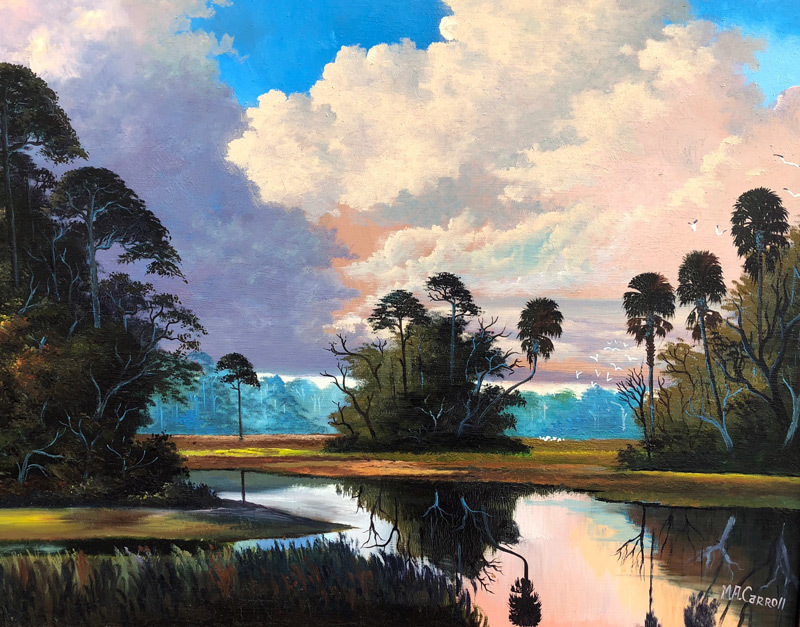 Whereas her fellow painters could travel far from home to sell their paintings, she had to be back in Ft. Pierce each afternoon to pick her children up from school, prepare dinner and oversee homework. 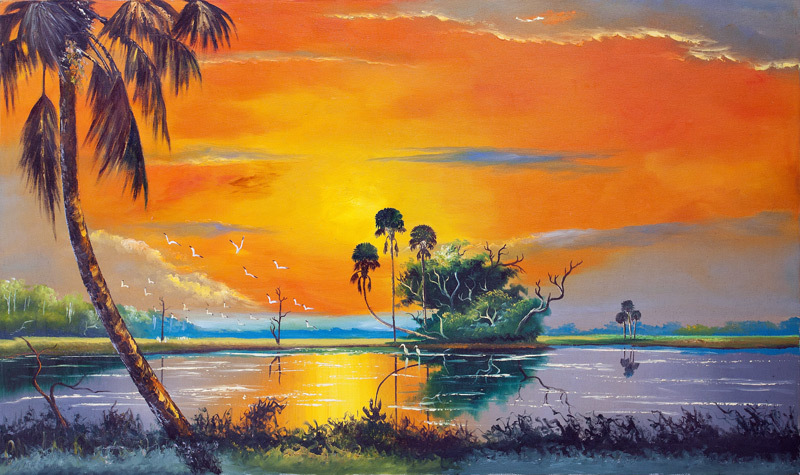 All the while she honed her artistic skills and sold paintings when and where she could. 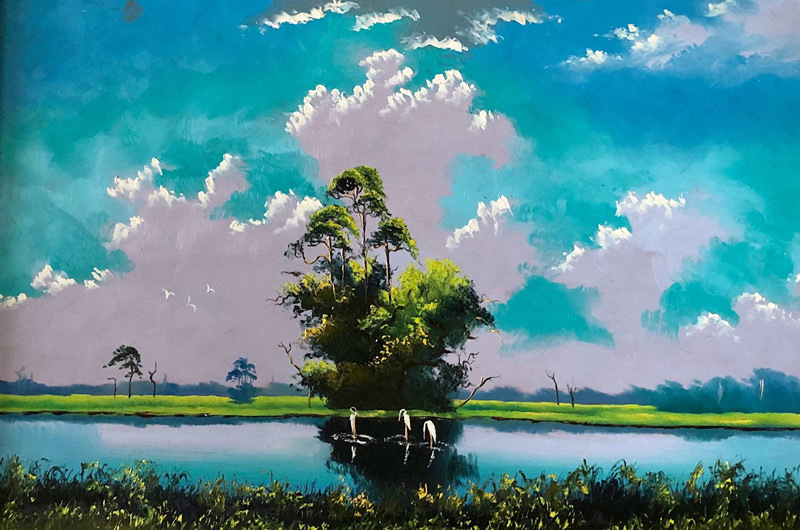 Paintings by the Highwaymen are still affectionately called “Hotel Art.” Many famous and successful people purchased the art for $10 to $25 with little interest in the work. Years later, a buzz grew about the work of these ambitious black artists. As their popularity increased, a new interest and “art rush” came to many who had tucked the paintings away. 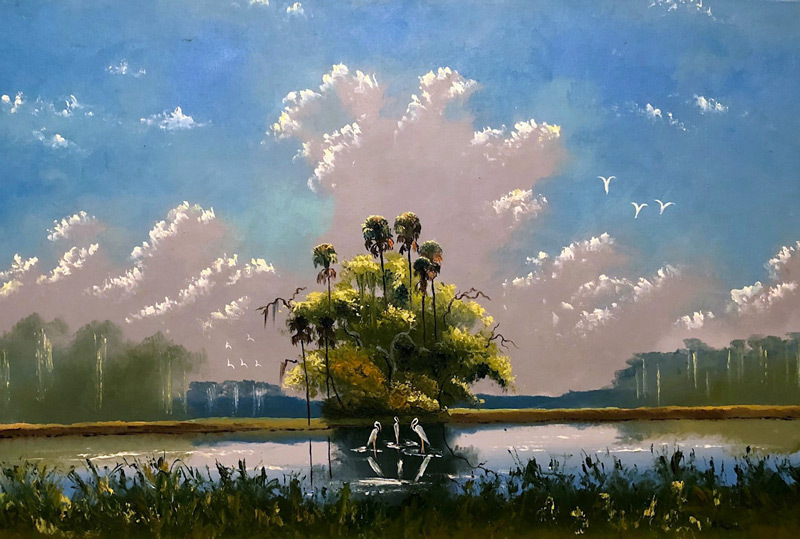 As the paintings surfaced from attics, garages and estate sales, these paintings that once sold for $25 were now suddenly worth thousands. Mary Ann Carroll has been featured in several documentaries and on National Public Radio (NPR). Over the years she has supported many fine charities and she continues to be a generous philanthropist. 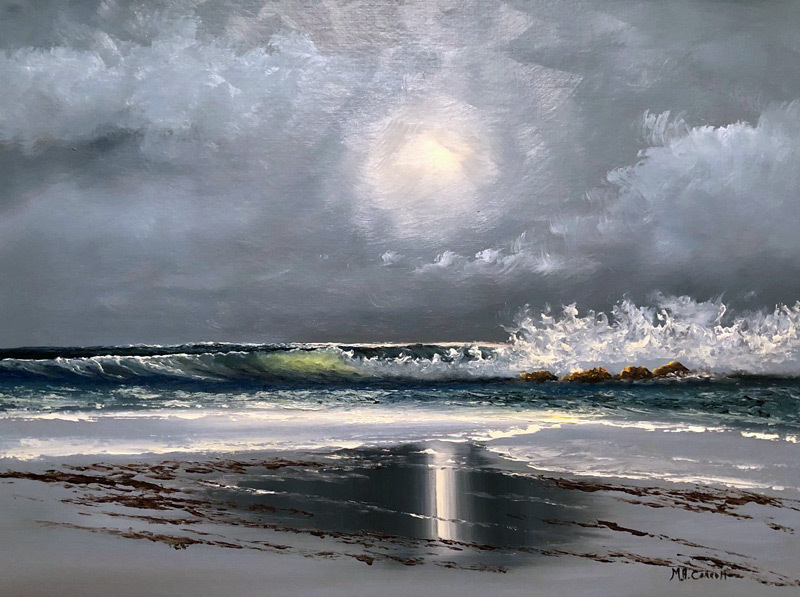 Her work is proudly displayed in collections in the United States and internationally. 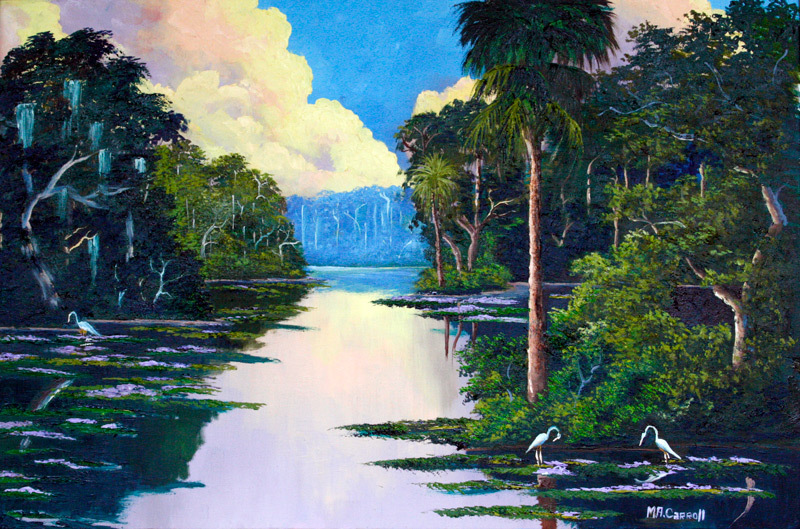 Mary Ann recently semi-retired to rehabilitate her painting arm after a medical setback. 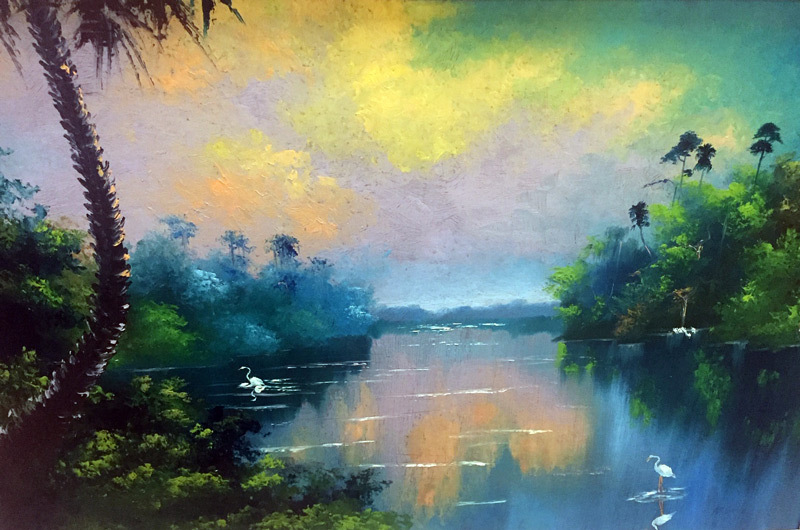 Her wish is to see all children follow their dreams…even if those dreams don't include painting. 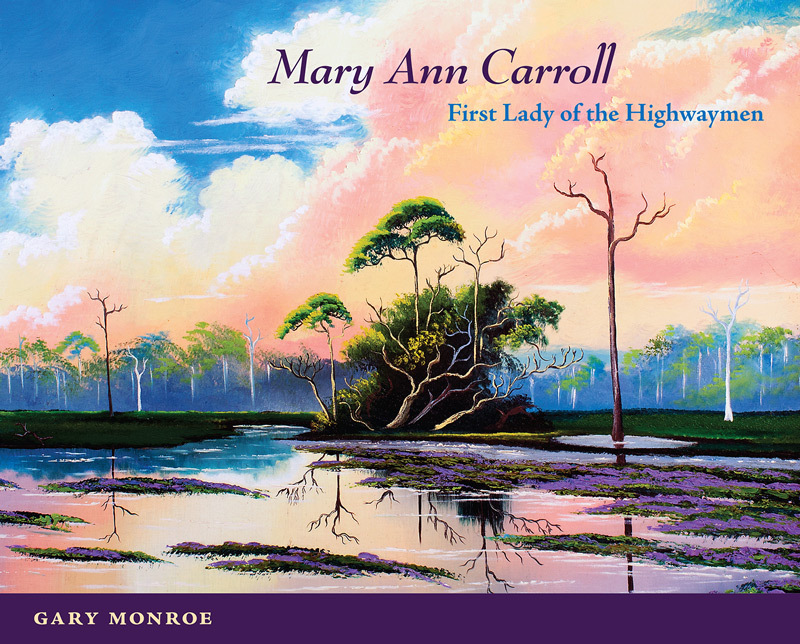 Gary Monroe, a prominent Highwaymen historian, authored Mary Ann Carroll: First Lady of the Highwaymen (UPF, 2014) as an homage to his friend Mary Ann. 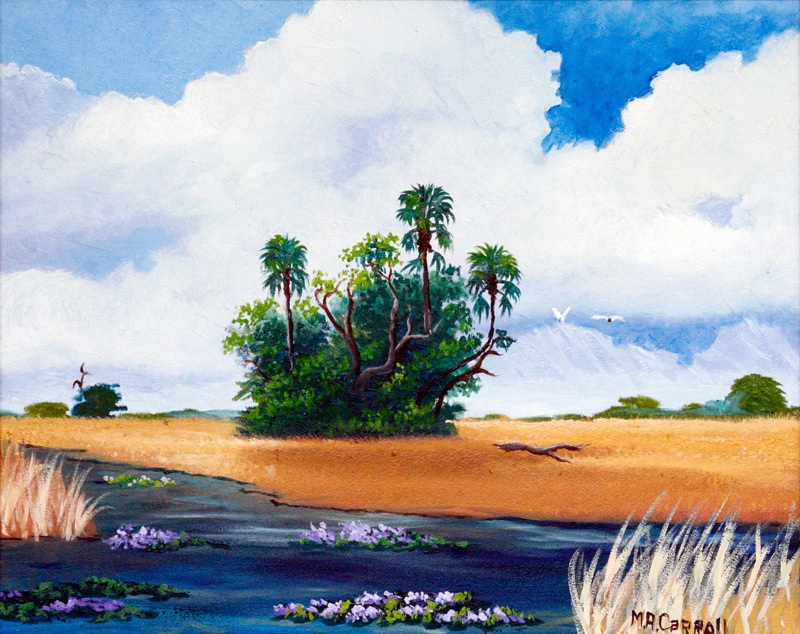 The book's cover can be seen above and Gary can be reached through his website at FloridaFolkArt.net.